I have to be honest, I hadn't thought much about visiting Croatia before I had the luxury of traveling there in 2006 with a group of girlfriends. When I knew I would be sailing up the coast of Croatia, I began doing a little research, and found that tourism in Croatia was booming. 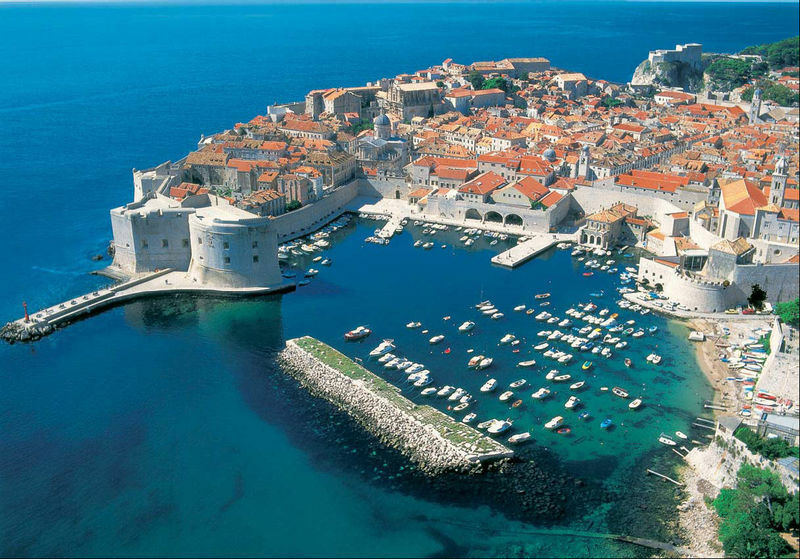 After years of conflict ended in the mid nineties, Croatia had slowly regained its footing as one of the hot spots for European travelers. Despite majoring in European History in college, I remembered only a little about this mysterious country. I knew that in 1991, a war broke out between the Serbs and the Croats when Croatia declared its independence from socialist Yugoslavia. The Serbs wanted to keep the nation one unified state, and for several years, the Serbs and Croats fought over Croatia's independence. After the conflict died down around 1995, it took the next decade for Croatia to regain its reputation as a beautiful (and safe) place for tourists. Besides my shallow knowledge of the conflict in the nineties, I knew very little about Croatia's robust and complex history. 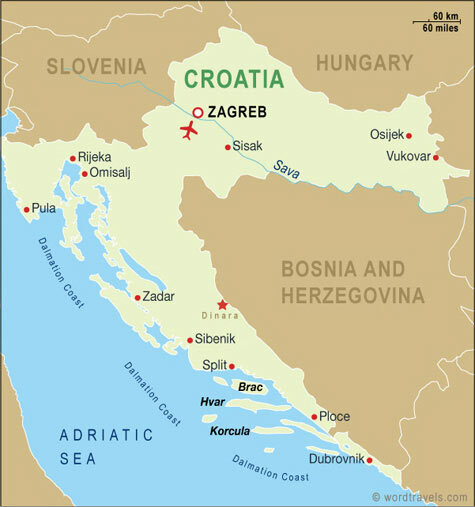 To read more about its history, check out this entry on Croatia from Wikipedia. Brief history lesson aside, the Dalmatian Coast is one of the most spectacular places I've ever visited. We started our voyage in the southern most point of Croatia, Dubrovnik. This breathtaking port city is called the "pearl of the Adriatic," and for good reason. Boasting countless pristine beaches, more than 20 amazing museums, a gaggle of breathtaking churches, and art, music, and culture galore; it really is a mecca of sorts for the avid explorer. We spent two nights and three days exploring Dubrovnik, and it was hardly enough time to see all of the beauty that this city has to offer. You could spend hours at a time exploring the Old City, and another several days sampling all of the delicious seafood, checking out the amazing art, and learning about this city's tumultuous history. 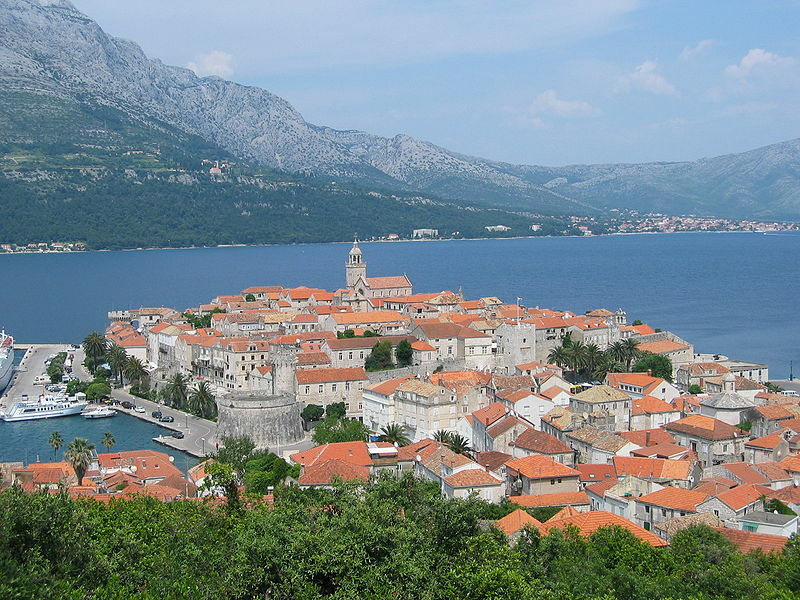 Next on our journey was the island of Korcula. I like to think of it as a miniature version of Dubrovnik. This glittering island is only a few hours by boat from Dubrovnik (you can easily get there via several ferry options found here. Originally founded by Trojan hero Antenor in the 12th century BC, there are still remants of Roman and Greek influence that are woven into the culture and architechture in Korcula. 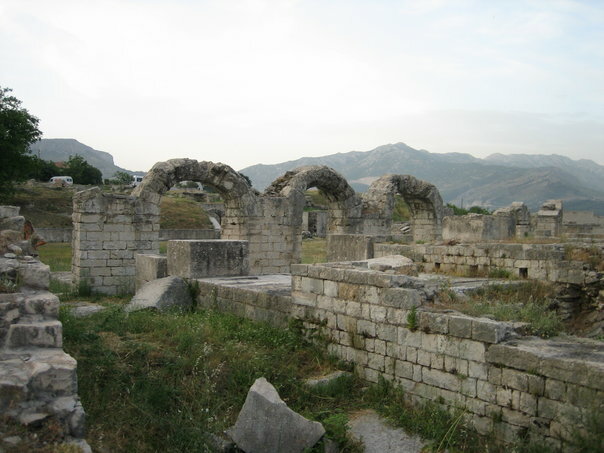 Around 1000 BC, Illyrians invaded Korcula, and Illyrian caves, fortresses, and stone masonry, are still intact on the island today. Next on our journey was Hvar. This is the Croatian hotspot that attracts the world's flashiest super yachts, bringing travelers to sample the nightlife in Hvar. This little gem was one of our favorite stops in Croatia. Our favorite spot was Carpe Diem (visit here) which is located right on the waterfront and was constantly buzzing with some of the world's most beautiful people. We spent two nights bar hopping in Hvar--ran into several friends and acquaintances from the US--and I would definitely put Hvar on a must do list if I were planning another trip to Croatia. After Hvar came Brac and Split. Split was another favorite spot, and we spent several days engrossed in this gorgeous city. Split is the second largest city on the Damaltian coast, and much like Dubrovnik, has countless museums, churches, galleries, and several large sporting arenas. 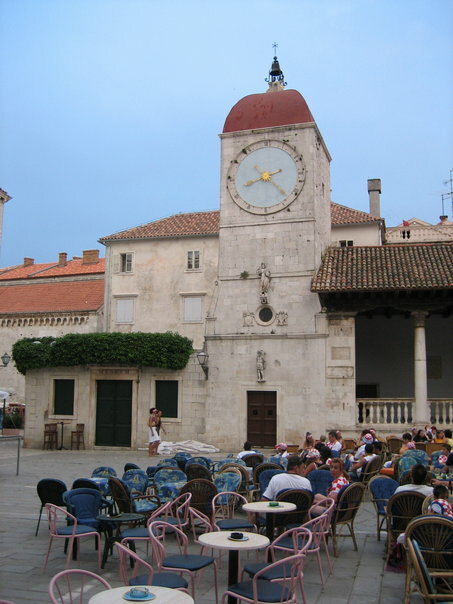 We were in Split while Croatia was playing in the World Cup (in Frankfurt, that year) and we watched several World Cup games with locals at gorgeous outdoor cafes in picturesque courtyards. 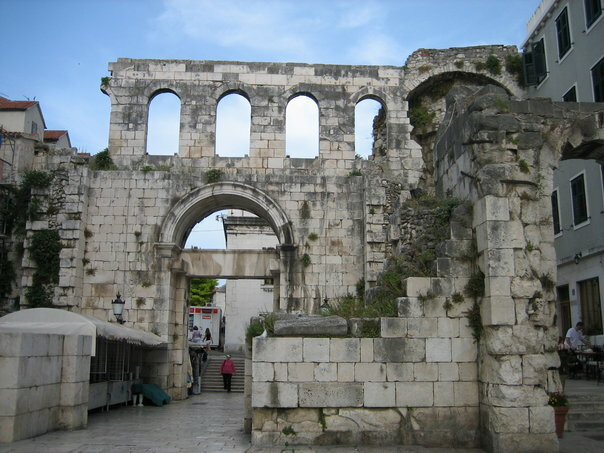 Little historical tidbit: Diocletian's palace is located in Split--built in the 4th century BC, and Split was settled by Greeks, then Romans, then after the fall of the Roman Empire in 426 AD, was later settled by the Slavs. There were some absolutely amazing Greek and Roman ruins in and around Split. A short 30 minute drive from Split is Trogir, the best-preserved Roman-Gothic complex not only in the Adriatic, but in all of Central Europe. 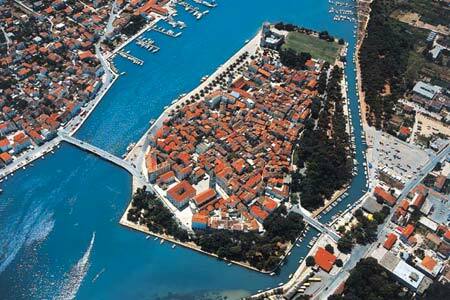 Trogir is a UNESCO World Heritage Site, and is one of the most amazing untouched ancient cities in the world.